Connecting GSA Proxy Scraper with Platform Identifier — . :: GSA SEO & Marketing Forum ::. I would like to connect GSA PS with PI. As a matter of fact, I will be using the PR emulator service only. However, I am unable to check this "emualated" PR because after a minute it pauses the projects and says: "Paused: PageRank fail"
Basically, it does not connect the PI with the GSA PS. Does anyone have experience how to connect these two platforms? You could try the option "don't pause project if pr check is not working" but you might have some URLs come through that aren't the "PR" that you want. Pi should be pausing when it's not getting a PR value. Sorry, I am out of town until Monday so I'm not in front of the computer to check things. Hi @s4nt0s , did u manage to look at my issue? Thank you in advance. @Aleksandrius - I just tested on my end and I'm getting the same message so I've informed the programmer. We'll try to get it fixed asap. @Aleksandrius - We did some testing and I can confirm it is working properly. Most likely, you have something using port 80 on your machine and that is causing them not to connect properly. This was the issue on my VPS that gave me the same error in Pi. I checked that from the beginning, this wasn't the issue. I double-checked again now just to be sure. Once I find the problem, I will let you know. 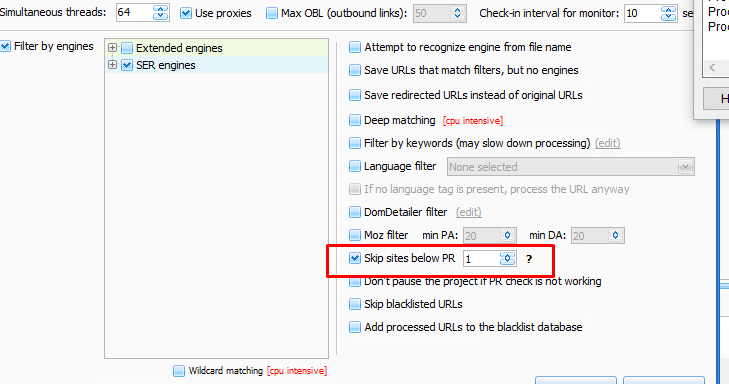 Just one final question: are you testing with PR emulator or with Proxy Scraper? Because I posses the latter. Thanks. Tested with proxy scraper this morning and it connected and worked fine. I was getting the same error as you when I had the problem with port 80. There is something on your side that is preventing it from connecting with Proxy scraper.